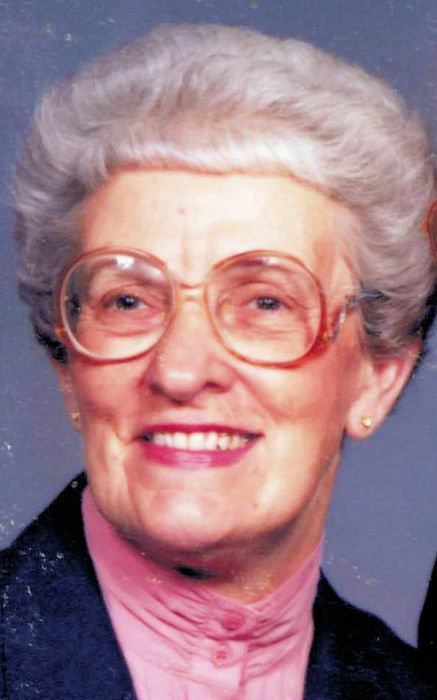 Opal T. Hadsell, 95, of Meadville died Tuesday, February 5, 2019. She was born September 11, 1923 in Sandy Creek Twp., Mercer County a daughter of John Ralph and Hazel Minnis Turner. She married Clarence W. Hazen in 1944 and he preceded her in death December 5, 1971. She subsequently married Lloyd C. Hadsell in 1978 and he preceded her in death October 18, 2003. She was a 1941 graduate of Greenville High School and worked for Penn Power in Greenville, then the Keystone View Company for 27 years and then Talon Inc. for 10 years. She was a long-time member of the Presbyterian Church of the Redeemer and sang in its choir for many years. She also enjoyed taking care of her home and being outdoors. To her true and beloved friends and everyone that helped take care of her, thank you. And she says good bye to her Tuesday luncheon group until we meet again. She is survived by two step-daughters, Kay Smock (Virgil) of Conneautville and Deborah Mercer (Keith) of Grove City; a step-son, Neal Hadsell (Alice) of Gap, PA; eight grandchildren, nine great grandchildren and three great great grandchildren and several nieces and nephews. In addition to her husbands and parents, she was preceded in death by two brothers, Maynard Turner and Rodney Turner and three sisters, Kathryn Chess, Stella Smith and Geraldine Blackburn. Calling hours will be Saturday, February 9th from 10 a.m. – 12 p.m. at the Robert W. Waid Funeral Home Inc., 581 Chestnut Street, Meadville. The funeral service will follow at 12 p.m. at the funeral home with Rev. Mary Kathryn Crom, officiating. Interment will be in Greenfield Cemetery. The family suggests memorials be made to Presbyterian Church of the Redeemer, 16864 Conneaut Lake Road, Meadville, PA 16335.